Bolshevik thought takes it for granted that truth is its peculiar possession. To Lenin, to Bukharin, to Trotsky, to Preobrajensky, to many another thinker I could mention, the materialist dialectic of Marx and Engels was at one and the same time the law of human thought and the law of the natural development of societies. The party, quite simply, is the custodian of truth; any idea at variance with party doctrine is either pernicious error or backsliding. Here, then, is the source of the party’s intolerance. Because of its unshakable conviction of its exalted mission, it develops astonishing reserves of moral energy—and a theological turn of mind which easily becomes inquisitorial. Lenin’s ‘proletarian Jacobinism’, with its disinterestedness, its discipline in both thought and action, was grafted upon the psychology of cadres whose character had been formed under the old regime—that is to say, in the course of the struggle against despotism. It seems to be unquestionable that Lenin chose as his co-workers men whose temperament was authoritarian. The final triumph of the revolution eased the inferiority-complex of the masses—the always bullied and always downtrodden masses. At the same time, however, it awakened in them a desire for retaliation; and this desire tended to make the new institutions despotic also. I have seen with my own eyes how a man who only yesterday was a worker or sailor gets drunk on the exercise of power—how he delights in reminding others that from now on he’s giving the orders. 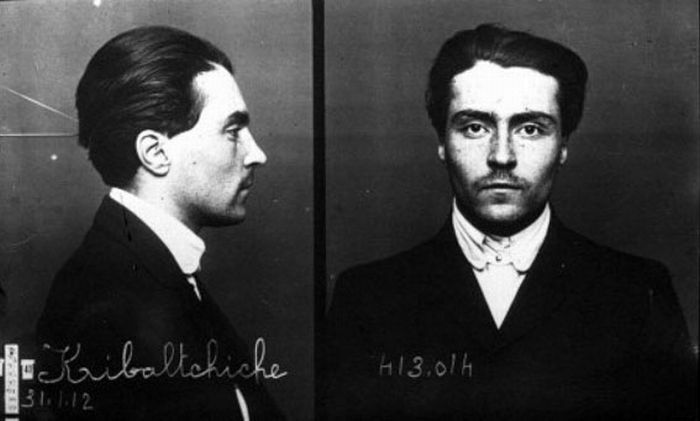 Anarchist, Bolshevik, Trotskyist, Social-democrat: the ideological markers of Victor Serge’s political militancy can serve as a point of criticism, but also as testimony to the vagaries and uncertainties of all revolutionary engagement. The criticisms of Serge’s political engagements are well known (see, for example, Luiggi Fabri‘s Revolution and Dictatorship, and Daniel Guerin‘s Anarchism), and we will not repeat them here. What we share below, as part of our series of testimonials of the russian revolution of 1917, are his reflections on the Kronstadt rebellion of 1921 against Bolshevik rule (from his Memoirs of a Revolutionary), the suppression of which effectively marked the end of the revolution. The following is an excerpt from Memoirs of a Revolutionary (1945) on the Kronstadt rebellion against the Bolshevik autocracy—its dictatorship over the proletariat. Despite Serge remaining an (albeit highly critical) Bolshevik apologist and remaining in the camp of those who claimed Kronstadt as “a tragic necessity”, he is honest enough to describe the facts of the situation in their own damning terms. The following text, hitherto unpublished in Britain, first appeared in the American socialist paper Politics, over 16 years ago. It describes the tragic Russian events of March, 1921. The working-class had taken power three and a half years earlier, in the greatest revolution of all time. But it had seen that power slowly slip from its hands, first in the factories, later in the Soviets. A new bureaucracy was emerging. Its core was the Bolshevik party, whose patronage was becoming essential for accession to all important posts, both in the economy and in the state. With the final victories of the Civil War, working class discontent, which had been smouldering for months, broke out in the great Leningrad strikes of January and February 1921, and in the Kronstadt uprising. Serge describes an event in working class history concerning which Stalinists, Trotskyists and sundry others have indulged in a systematic campaign of misrepresentation and distortion. He shows how certain ideas concerning ‘the Party’ worked out, in practice. The article also exposes the hypocritical pretensions of those who claim the struggle against the developing bureaucracy as some kind of private mantle. Serge’s testimony concerning Kronstadt is of great historical value. It is the testimony of a revolutionary who was in Leningrad during those fateful days, who actively participated in the scenes he describes, and who endorsed, at the time, the actions of the Russian leaders. During the night of February 28-29, I was awakened by a phone call. “The Whites have taken Kronstadt”, an anxious voice told me. “We are fully mobilized”. It was Ilya Ionov, Zinoviev’s brother-in-law. This was an appalling piece of news. If true, it meant that Petrograd itself would soon be lost. Zinoviev was in conference with the Revolutionary Council of the Army, so I rushed over to the headquarters of the Third District Committee. Everybody was looking pretty grim. “It’s fantastic. But it’s true.” “Well,” I said, “we must mobilize everyone able to walk. Immediately!” Someone replied, evasively: “Yes, we must mobilize.” But nothing could be done without instructions from the Petrograd Committee. Several comrades and I spent the rest of the night poring over a map of the Gulf of Finland. We got word that small-scale strikes were spreading through the suburbs. Whites in front of us, famine and strikes behind us! I left at dawn, and on my way out of the hotel I ran into one of the maids, quietly leaving the building with packages under her arm. At intervals along the deserted streets there were little wall posters announcing treacherous seizure of Kronstadt by the counter-revolutionary general Kozlovski and his accomplices, and summoning the workers to arms. But even before I reached the District Committee headquarters I ran into several comrades who had already turned out, Mauser in hand, and they told me that the Kozlovski business was a contemptible lie: the Kronstadt sailors had mutinied, and what we were up against was a naval rebellion led by the Kronstadt Soviet. If anything, that was still more serious; and the worst of it was the paralyzing effect of the official lie upon us. For the party to lie to us this way was something new. “They had to do it because of the mood of the people,” some of my acquaintances explained. But they were frightened too. The strike had become almost general. Nobody even knew whether the street-cars would run. Later that day I had a talk with my friends in the French-speaking Communist group (I remember that Marcel Body and Georges Hellfer were both present). We decided not to take up arms—to fight neither against the hungry strikers nor against the exasperated sailors. In Vassili-Ostrov, in a street white with snow, I saw a crowd gather, mostly women. I watched it push its way slowly forward to mingle with the military-school cadets sent there to open up the approaches to the factories. Patiently, sadly, the crowd told the soldiers how hungry the people were, called them brothers, asked them for help. The cadets pulled bread out of their knapsacks and divided it up. Meanwhile, the Mensheviks and the Left Social Revolutionaries were blamed for the strike. Leaflets distributed in the suburbs put forward the demands of the Kronstadt Soviet. They added up to a program for renewing the revolution. In brief: new elections for the Soviets, with secret ballot; freedom of speech and freedom of press for all revolutionary groups and parties; liberty for the trade-unions; liberation of all revolutionaries being held as political prisoners; no more official propaganda; no more requisitioning in the rural districts; freedom of employment for artisans; immediate withdrawal of the street patrols which were preventing free purchase of food supplies by the general public. The Kronstadt Soviet, the Kronstadt garrison, and the sailors of the First and Second Squadrons had rebelled to get that program accepted. Little by little, the truth broke through the smoke screen laid down by the press, whose mendacity now knew no bounds. And that was our press, the press of our revolution, the first socialist press in history, therefore the first incorruptible, unbiased press in history. Even in the past, to be sure, it had now and then laid itself open, to some extent, to the charge of demagogy (of a warm, sincere kind, however) and had used violent language about its opponents. But in doing so it had stayed within the rules of the game, and had, in any case, acted understandably. Now, however, lying was its settled policy. The Petrograd Pravda informed its readers that Kouzmin, Commissar for the navy and the army, had been manhandled during his imprisonment at Kronstadt, and had narrowly escaped summary execution—on written orders from the counter-revolutionaries. I knew Kouzmin, an energetic, hard-working soldier, a teacher of military science, grey from tip to toe; his uniform, even his wrinkled face were grey. He “escaped” from Kronstadt and turned up at Smollny. He looked embarrassed, and did not answer for a moment. In short, he had let his tongue run away with him. That was the whole story. The Kronstadt rebels had spilled not a single drop of blond, had gone no further than to arrest a few Communist officials, all of whom had been well treated. Most of the Communists, several hundred in all, had gone over to the rebels, which showed clearly enough how weak the party had become at its base. Nevertheless, someone had cooked up this story about hairbreadth escapes from the firing squad! In any case the Kronstadt uprising began as an act of solidarity with the Petrograd strikes, and as a result of rumors (about repressive measures) which were mostly without foundation. Kalinin and Kouzmin, whose stupid blundering provoked the rebellion, were chiefly to blame. Kalinin, as chairman of the Republic’s Executive, visited Kronstadt, and the garrison received him with music and shouts of welcome. But when the sailors stated their demands he called them traitors, accused them of thinking only of their own interests, and threatened merciless punishment. Kouzmin bellowed at them: the iron hand of dictatorship of the proletariat would strike down all infractions of discipline, every act of treason! The two of them were booed and kicked out—and the damage was done. It was probably Kalinin who, back in Petrograd, invented “the White general, Kozlovski”. From the very first, when it would have been easy to patch up the differences, the Bolshevik leaders chose to use the big stick. We were to learn later that the delegation sent from Kronstadt to explain the issues at stake to the Soviet and people of Petrograd had got no further than a Cheka prison. “That won’t do any good. We’re bound by party discipline, and so are you”. I protested: “One can get out of a party”. The Anarchist mediation group used to meet at the home of my father-in-law, Alexander Roussakov. Since the Anarchists had the ear of the Kronstadt Soviet, it had been decided that only Anarchists would take part in the negotiations, and that the American anarchists alone would assume responsibility vis-à-vis the Soviet government; so I was not present. Emma Goldman and Alexander Berkman had an interview with Zinoviev. They were received cordially, for they were still able to speak authoritatively in the name of a section of the international proletariat. Their mediation scheme, nevertheless, was a complete failure. As a sop, Zinoviev offered them every facility for seeing Russia from a private railway car. “Think it over and you will understand”. Most of the Russian members of the mediation group were arrested. I was not—an indulgence which I owed to the good opinion that Zinoviev, Zorin and a few others had of me, and to my position as a militant in the French workers’ movement. After much hesitation, my Communist friends and I finally sided with the party. It was a painful step to take, and this is why we did it: the Kronstadt sailors, we reasoned, were right. They had begun a new freedom-giving revolution which would lead to popular democracy. Certain Anarchists who had not outgrown the illusions of childhood gave it a name: the ‘Third Revolution’. The country, by this time, was in bad shape. Production had come virtually to a stop. Reserves of all kinds had been used up, including even the reserves of nervous energy which sustain popular morale. The workers’ elite, formed in the course of the struggles under the old regime, had literally been decimated. The party, its membership swollen by the influx of bandwagon riders, inspired little confidence. And there was nothing left of the other parties but tiny cadres, of doubtful ability. Some of them, to be sure, might in a few weeks’ time have put on flesh, but only by admitting en masse the soured, the bitter, the exasperated—very different types from the 1917 enthusiasts of the young revolution. Soviet democracy had lost its vitality. It lacked leadership. It had no organisational basis. And it had no defenders, except among the hungry and desperate masses of the people. In these circumstances, the party should have beat a retreat by admitting that the existing economic set-up was indefensible. It should not, however, have given up power. “In spite of its faults, in spite of its abuses, in spite of everything,” I wrote at the time, “the Bolshevik party, because of its size, its insight, its stability, is the organized force to which we must pin our faith. The Revolution has at its disposal no other weapon, and it is no longer capable of genuine renewal from within”. The Political Bureau finally made up its mind to enter into negotiations with Kronstadt, lay down an ultimatum, and, as a last resort, attack the fortress and the ice-bound battleships. As it turned out, no negotiations ever took place. But an ultimatum, couched in revolting language, appeared on the billboards over the signature of Lenin and Trotsky: “Surrender or be shot like rabbits!” Trotsky, limiting his activities to the Political Bureau, kept away from Petrograd. Meanwhile the Cheka had declared war on the Menshevik Social-Democrats by publishing an outrageous official document accusing them of “conspiring with the enemy, planning to sabotage the railways,” etc. The Bolshevik leaders themselves were embarrassed; they shrugged the charges aside: “More of the Cheka’s ravings!” But they let the charges stand all the same and promised only that there would be no arrests and that everything would come out alright. Even so, the Menshevik leaders Dan and Abramovich were arrested (in Petrograd): and the Cheka (led at this time, as I remember, by a red-headed worker named Semionov, a hard, ignorant little man) wanted to have them shot—on the grounds that they had organized the strike, which was now almost general (and at least 75% spontaneous). I had just had a run-in with Semionov over two students the Cheka had arbitrarily seized. I got word to Lenin through Gorky (who was also at that moment intervening to save the Menshevik leaders). Once Lenin had been informed, we knew our friends were out of danger. Meanwhile, in Moscow, the Tenth Congress of the party, on Lenin’s motion, had abolished the requisitioning system (‘War Communism’), and put the NEP into effect. All the economic demands of Kronstadt had been met! The Congress had, at the same time, gone out of its way to heap abuse upon all the opposition groups. The Workers’ Opposition, for instance, had been described as an “anarcho-syndicalist deviation with which the party cannot make terms”, although it was not Anarchist in any sense, and had advocated nothing but trade union management of production (which, incidentally, would have been a big step in the direction of workers’ democracy). Finally, the Congress had drafted its members, many of whom belonged to opposition groups, for the battle against Kronstadt. The extreme Left winger Dybenko, himself once a Kronstadt sailor, and the writer and soldier Bubnov, leader of the group in favor of ‘democratic centralisation’, went to do battle on the ice—against insurgents with whom, deep in their hearts, they had no quarrel. Tukachevsky was now preparing the final assault. The Orianienbaum incident is never mentioned; but in my opinion it brought the Kronstadt rebels within reach of a victory which they did not want—and might easily have resulted in the fall of Petrograd. Serge Zorin, the blond Viking who was secretary of the Petrograd Committee, noticed something peculiar about the orders being given by one of the infantry commanders. For instance, certain arbitrarily chosen cadets were kept standing guard close to the artillery emplacements, and regroupings were being effected for which there was no evident reason. After a couple of days there was no longer any doubt that a conspiracy was afoot. As an act of solidarity with Kronstadt, an entire regiment was going to switch sides and call upon the army to rebel. Zorin immediately ordered into the regiment men who could be counted upon, doubled the number of sentry posts and the compliment of soldiers assigned to each, and arrested the regiment’s commanding officer, a man who had spent many years as an officer in the Imperial Army. He was brutally frank: “For years I had looked forward to that hour. I hate you, you murderers of Russia. Now I’ve lost, life means nothing to me.” Along with a considerable number of his accomplices, he was shot. His regiment, by the way, had been withdrawn from the front in Poland. The rebellion had to be liquidated before the thaw. The final assault was launched by Tukachevsky on March 17 and resulted in an audaciously-won victory. The Kronstadt sailors, fighting without competent officers (one of their number, to be sure, was an ex-officer named Kozlovski, but he played an unimportant role and had no authority), made poor use of their artillery. Some escaped to Finland; some fought a savage defensive battle, from fort to fort and street to street, and died shouting. “Long live the World Revolution!” Some even died with the cry: “Long Live the Communist International!” Several hundred were taken into Petrograd and turned over to the Cheka, which months later—criminally, stupidly—was still shooting little groups of them. These prisoners belonged body and soul to the revolution; they had given expression to the sufferings and will of the Russian people; and there was the NEP to show that they had been right! Furthermore, they had been taken prisoner in a civil war, and by a government which for a long while had been promising an amnesty to those of its adversaries who were willing to become its supporters. Dzerjinski presided over this endless massacre—or at least let it happen. The Kronstadt leaders, men unknown up to the uprising, were drawn from the ranks. One of them, Petrichenko, escaped to Finland and may still be alive. Another, Perepelkin, turned up later among some friends I used to visit at the old prison in Shpalnernaya Street—through which so many revolutionaries, Lenin and Trotsky, among others, had passed in days gone by. From the depths of his cell, before disappearing finally from sight, Perepelkin told us the whole story of Kronstadt. Kronstadt inaugurated a period of doubt and dismay inside the party. In Moscow, a Bolshevik named Peniuchkin, who had distinguished himself during the Civil War, pointedly resigned from the party to found a new political movement—to be called, if I remember correctly, the Soviet Party. He set up his party headquarters in a street lined with workers’ homes, and for a while nothing was done about it. Then he was arrested. Several comrades came to me and asked me to intervene on behalf of his wife and child, who had been evicted from their home and were sleeping in a hall somewhere. I was unable to do anything for them. The worker Miasnikov, another old Bolshevik—he had taken part in the revolt in the Upper Volga in 1905, and there was a close personal tie between him and Lenin—spoke out in favor of freedom of the press “for everybody, from the Anarchists at one extreme to the Monarchists at the other”. After a sharp exchange of letters he broke with Lenin, and before long he was deported to Erivan, in Armenia. From there he went to Turkey. I was to run into him in Paris some twenty years later. The “Workers’ Opposition” seemed to be heading towards a definite break with the Party. As a matter of fact, we were already well on the way towards being overwhelmed by a nascent totalitarianism. The word ‘totalitarianism’ itself had not come into existence yet; but the thing it stands for was ruthlessly making itself our master without our knowing it. I belonged to the ridiculously small minority which did know. But the majority, both of the party’s leaders and of its militants, had come to regard ‘War Communism’ as a merely temporary economic adjustment analogous to the highly centralized productive arrangements which Germany, France and England had worked out during the war. These centralization schemes had been called ‘War Capitalism’. So the majority believed that once peace was restored the state of siege would automatically dissolve, and that we would then get back to some kind of Soviet democracy—what kind it was no longer possible to say. The great ideas of 1917, the ideas which had enabled the Bolshevik party to sweep along with it the peasant masses, the army, the working class and the Marxist intelligentsia, were certainly dead. Had not Lenin, in 1917, argued in favor of a Soviet press so free that any group able to muster 10,000 supporters would be allowed to publish its own newspaper, and at public expense? Had he not written that the transfer of power from one party to another within the Soviets could be accomplished peacefully, without sharp conflicts? Had he not held out, in his theory of the Soviet State, the promise of a form of political organization entirely different from the old bourgeois States, with “no functionaries and no policemen, apart from the people themselves”?—a State in which the workers would exercise power directly through their own militia system? What with the monopoly of power, the Cheka, and the Red Army, all that was left of this dream of a ‘State-Commune’ was a myth, of interest only to theologians. War, measures of internal defense against counter-revolution, and famine (leading to creation of a bureaucratic machine to take care of rationing) had put an end to Soviet democracy. How and when would it be reborn? The party nourished itself precisely on the belief that the slightest relaxation of its grip on power would give the reaction the opportunity it was waiting for. In addition to these historical factors, there were important psychological factors. Marxism has meant different things in different periods. The child of bourgeois science and philosophy on the one hand and the revolutionary aspirations of the proletariat on the other, it makes its appearance at a time when capitalism is entering upon its decline. It puts itself forward as the natural heir of the society which gave birth to it. Just as capitalist-industrialist society tends to draw the entire world into its orbit, and to bring each and every aspect of life into conformity with its value, so the Marxism of the beginning of the twentieth century seeks to re-make everything—the system of property holding, the way production is organized, the map of the world (abolition of frontiers), even man’s inner life (displacement of religion). Since its objective was a total transformation it was, etymologically speaking, totalitarian. It included within itself both aspects of the society that was coming into being: the democratic and the authoritarian. The German Social-Democratic party, largest of the Marxist parties through the period 1880-1920 adopted a bureaucratic form of organization modeled upon the State itself. It devoted itself to the conquest of power within the bourgeois State, and wound up thinking in terms of State Socialism. These same considerations explain some of the contradictions with which the leaders themselves (despite the verbal and sometimes demagogic solutions which the dialectic enables them to put forward) have wrestled in vain. On a hundred different occasions Lenin paid democracy high praise, and insisted that the dictatorship of the proletariat is both “a dictatorship against the expropriated expropriators” and “the broadest workers’ democracy”. He believed it, wanted it to be true. He went into the factories to give an account of his stewardship. He wanted to face all-out criticism from the workers… But he wrote in 1918 that the dictatorship of the proletariat was by no means incompatible with personal power, and by doing so justified in advance some kind of Bonapartism. When his old friend and co-worker Bogdanov came forward with embarrassing objections, Lenin had him locked up. He outlawed the Mensheviks on the grounds that they were ‘petit-bourgeois’ socialists who made themselves nuisances by always being wrong. He welcomed the Anarchist spokesman Makhno, and tried to convince him of the validity of Marxist doctrine; nevertheless, Anarchism was outlawed too—if not on Lenin’s initiative, at least with his consent. He ordered a hands-off policy towards the churches, and promised believers a truce; but he kept on saying that “religion is the opium of the people”. We were advancing towards a classless society, a society of free men; but the party never missed an opportunity to remind people that “the reign of the workers will never end”. Over whom were the workers to reign then? And that word ‘reign’—what does it mean anyhow? Totalitarianism—and within ourselves! Victor Serge’s novel, The Conquered City remains one of the most powerful stories about the russian revolution and the “Red” terror that would come to institutionalise itself. The Case of Comrade Tulayev followed, narrating the Stalinist purges. This entry was posted in Commentary and tagged anarchsim, russian revolution, Victor Serge. Bookmark the permalink.